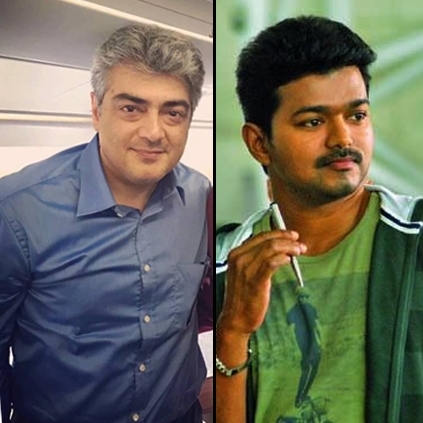 KAJAL AS AJITH’S WIFE AND KATHTHI KATHIRESAN’S LOVER? Kajal Aggarwal is currently the actress in demand. She would apparently be teaming up with Ajith Kumar for the first time in AK 57 (aka) Thala 57. It is rumored that the film will feature 3 heroines and Kajal might play Ajith's wife. She is also in talks to do the female lead in Vikram’s next film Garuda. Reports say that Kajal has now been finalized as Chiranjeevi’s lady love for the Telugu remake of Vijay’s blockbuster Kaththi. She will also be doing a special cameo in Jr NTR’s upcoming film. Apart from these project, she also has Jiiva’s Kavalai Vendam which is in its last leg of shoot. ‘Neruppu Da’ No. 1 on Top 10 charts for 7th consecutive week. Randeep Hooda Clarifies On Kajal Aggarwal Lip Lock Controversy! People looking for online information on Kajal Aggarwal will find this news story useful.